"Welcome to Fight Club. 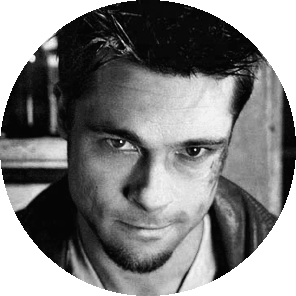 The first rule of Fight Club is... "
as Brad Pitt pointed out in David Fincher’s ‘Fight Club’ there are rules for everything. Even in ‘Fight Club’. Here are ours. For comments relating to the content of the website generally, please email us at info@nospoilerreviews.com. 1.1 This site contains material that is owned or licensed by No Spoiler Reviews. You may not copy, reproduce, upload, post, distribute, republish, retransmit, or modify in any way any of the material on this site, including computer code and software without written permission. 1.4 Images on this website used in this website remain the property of their respective rights holders. 6.2 We do not guarantee uninterrupted availability of the website, but shall make reasonable efforts to minimise any periods during which the website is not available. You accept that you will have no claim for breach of contract or otherwise in respect of any such period of unavailability. 9.5 Neither we nor our affiliates make any representation that materials on this website are appropriate or available for use in locations outside the United Kingdom, and accessing them from territories where their contents are illegal is prohibited. Those who choose to access this website from other locations do so on their own initiative and are responsible for compliance with local laws. 11.1 For comments relating to the content of the website generally, please email us at info@nospoilerreviews.com.